GR8 Fires supply a great variety of electric fires to customers across the UK, including wall mounted, or wall hung electric fires. 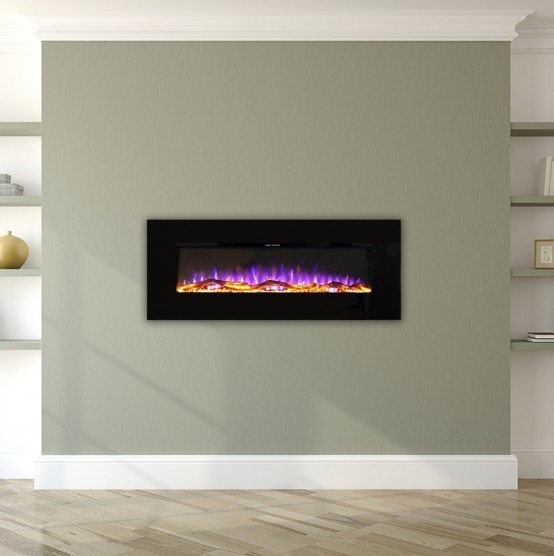 Our broad range of superb Ezee Glow wall hung electric fires combine high quality with amazing prices, many with considerable discounts while stocks last. 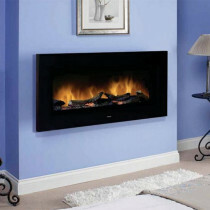 Wall hung electric fires are ideal additions to chic, contemporary rooms. Their smooth lines and minimalist feel mean you can create a warm and welcoming atmosphere without sacrificing on appearance and style. Fantastically easy to operate, electric fires work by remote control. Many models also allow the attractive flicker of flames without the heat, perfect for keeping the focal point of the room without overheating. The colour shape and finish of the electric wall fire can be chosen to match your decor and taste. The Ezee Glow WH1 comes with curved or flat glass, while the Ezee Glow WH2, available in black or mirror glass, comes in a variety of colours (warm orange, cool blue or moody mauve) with a choice of pebble effect fuel bed, white marble or clear pebbles.